Do you have difficulty making decisions . . . asking your boss for a raise . . . committing to or leaving a relationship . . . going on an interview . . . facing the future? Does fear keep you from jumping into life with energy and excitement? 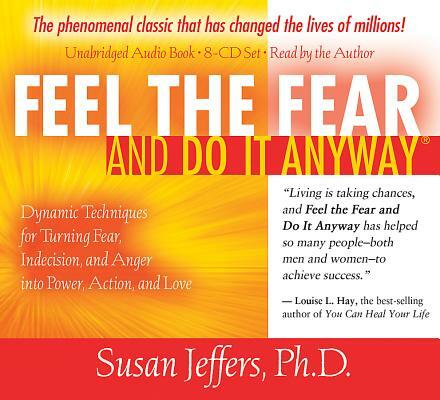 Now, Susan Jeffers, who has helped millions turn their lives around, can help you become more powerful in the face of your fears. Dynamic and inspirational, Feel the Fear and Do It Anyway is filled with concrete techniques for turning passivity into action. • How to create more meaning in your life . . . and much more! Susan Jeffers, Ph.D., is the best-selling author of many internationally renowned books. She has also created many audiocassettes on fear, relationships, and personal growth.